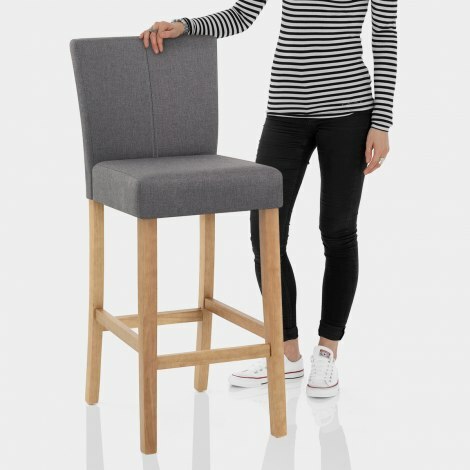 Comfortable, stylish and undeniably chic, the Cornell Oak Bar Stool Grey is a true classic design for the home. 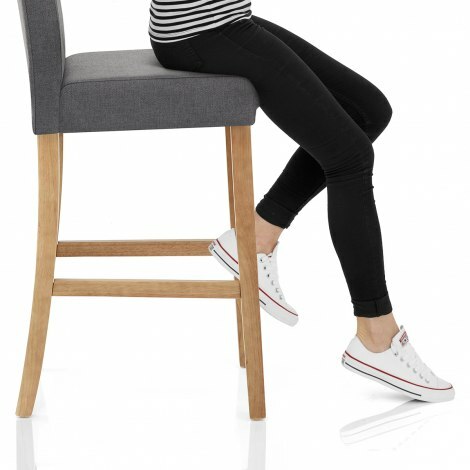 Simply stunning and completely charming, the Cornell Oak Bar Stool will radiate a strong sense of class around your entire bar area. 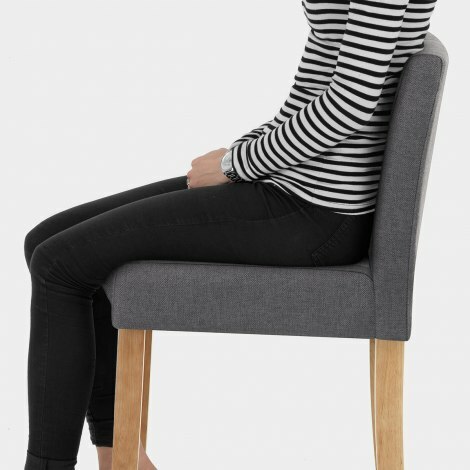 Featuring a tall backrest, its seat is generously cushioned to provide a supportive sitting experience. Meanwhile, chic grey fabric upholstery covers the seat, lending this model a beautifully neutral edge. Fixed at the ideal height for use alongside kitchen worktops, bar tables and breakfast bars, the four-legged frame is formed of strong solid wood, finished with a natural mid-oak tone. Plus, four coordinating wooden bracing bars support the legs, at the perfect height for perching your feet upon. Finally, the Cornell is complete with subtle protective floor plugs, designed to help prevent unnecessary damage to your floors. "We would recommend these without any hesitation"
Extremely happy with this purchase. Delivery was prompt and professional. Stools were quick and easy to put together as intructions were easy to follow. Really comfortable to sit on and very well made. Top quality product, would definitely recommend! I was very happy with my bar stools they are really good quality and stylish. Great product. Perfect for what I wanted. Colour matches in well and its the right height for the breakfast bar. Didn't want to spend a fortune as we have young kids but the material is standing up to spillages well! Robust & well made. Very quick app to deliver. Lovely stools and easy to put together. Good quality product and fast delivery.